Providing inter-cultural workshops to facilitate the exchange of information. 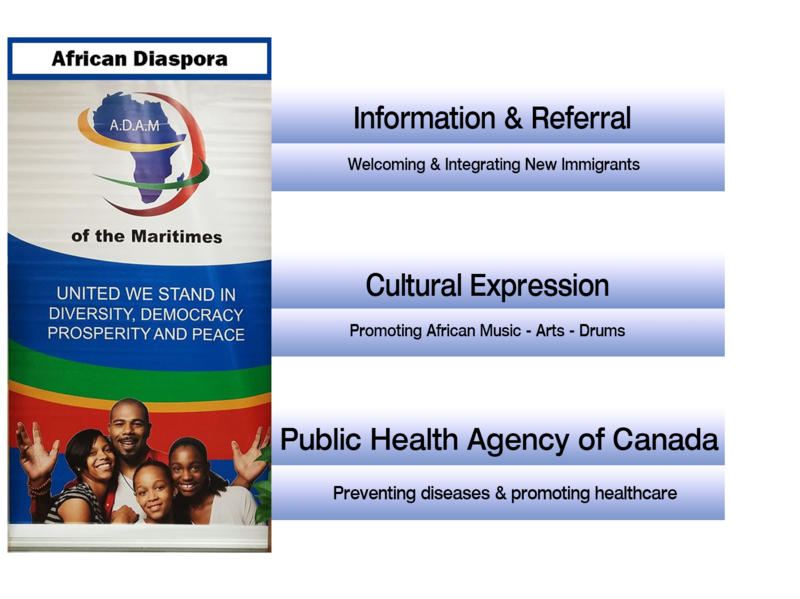 Multiculturalism: Various activities offered by ADAM encourage inter-cultural interaction and understanding. Such activities include, but are not limited to, community consultations, cultural awareness presentations with public and private sector organizations, sporting activities and the annual celebration of African Heritage Month. Research activities: We partner with agencies and individuals for research aimed at understanding issues that affect African immigrants. j’aime très la façon que vous procédé pour nous aidés jeune Africain.